Nica (Fiona Dourif) was arrested for the death of her family – who were actually killed by Chucky (Brad Dourif), or so she believes. Now she’s in psychiatric care and working with a therapist, Dr. Foley (Michael Terriault) to accept the fact that she was the murderer after all. But when Nica is confronted with a Good Guy doll, things take a turn. At the same Andy (Alex Vincent), too, tries to finally leave his past behind. But that is much easier said than done, especially when he has a very lively reminder in his home. 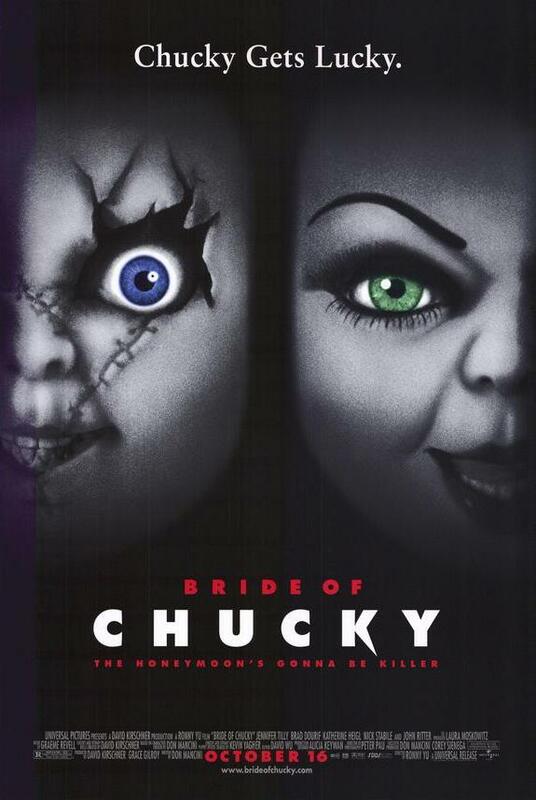 Cult of Chucky was unfortunately one of the weaker Chucky movies, despite the fact that it was really nice to see pretty much all important characters from all Child’s Play movies so far again. Before Chucky (Brad Dourif) and Tiffany (Jennifer Tilly) were vanquished, they had a son, Glen (Billy Boyd). Glen is everything his parents aren’t: gentle, kind and completely murder-free. 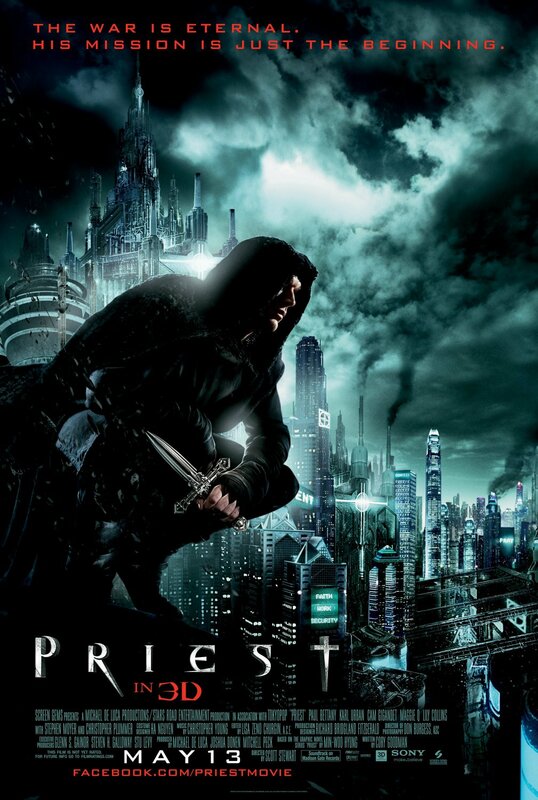 He’s curious to meet his parents, and so he resurrects them, hoping for a family reunion. The reunion does happen, but takes on a very different form of what Glen expected, as they first hit Hollywood where Chucky and Tiffany’s story is currently turned into a film starring Jennifer Tilly (Jennifer Tilly). Seed of Chucky suddenly turns very meta and that’s a thing I always enjoy. Especially since it really proves that Jennifer Tilly is the best thing that has happened to the series. Despite some of the same issues as with the other films of the series, this is definitely my favorite part so far (together with the first). Andy (Justin Whalin) has grown into a teenager, despite all attempts from Chucky (Brad Dourif). As Andy starts military school, it seems a new chapter in his life starts. 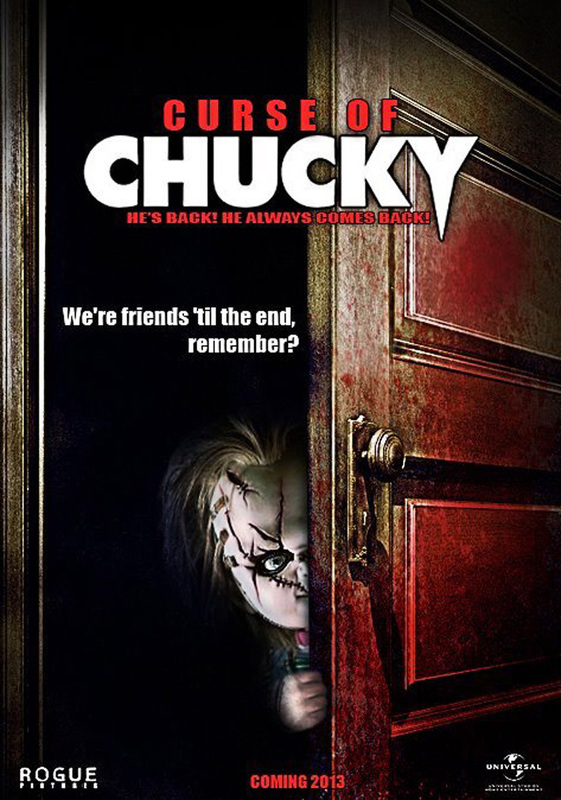 But Chucky also starts a new chapter in his existence – and he wants to begin by getting rid of Andy once and for all. He befriends a young boy, Tyler (Jeremy Sylvers) who stays at the same school as Andy and starts plotting. 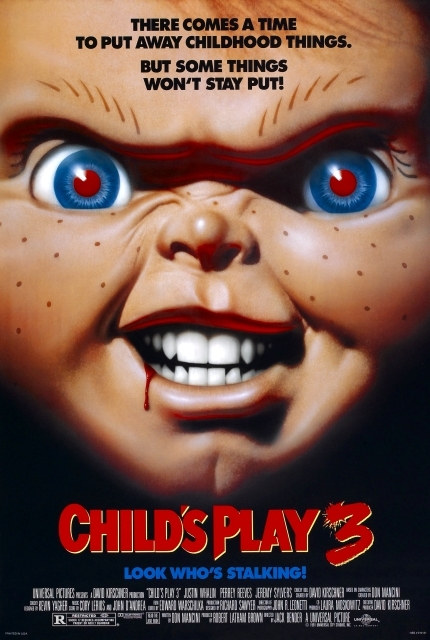 Child’s Play 3 quite literally lost the plot that was just way too riddled with holes and was therefore the weakest of the film series so far. After what happened, Andy (Alex Vincent) is separated from his mother – who is put in psychiatric care – and now lives with a foster family mother Joanne (Jenny Agutter), father Phil (Gerrit Graham) and their teenage daughter Kyle (Christine Elise). 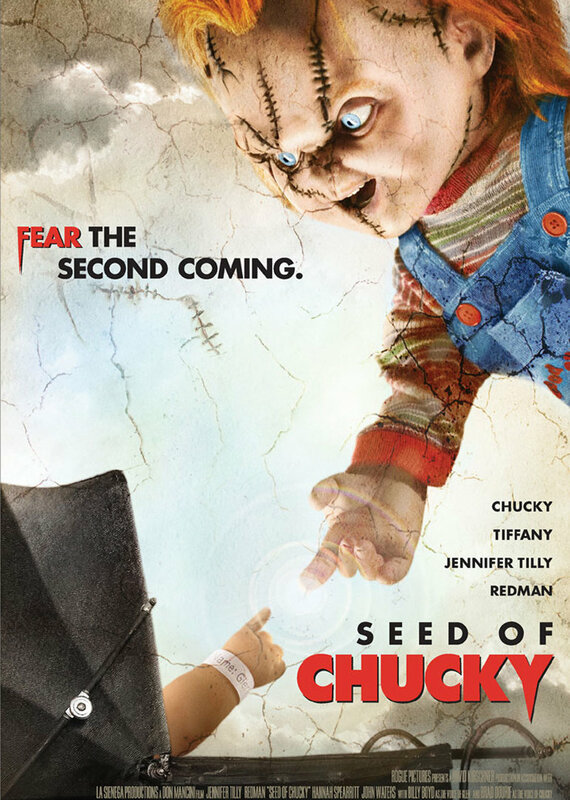 Things should be settling down, but Chucky (Brad Dourif) doesn’t just give up, and after he finds himself reconstructed by the toy company, he’s dead-set on claiming Andy’s body for his own. I didn’t love the first Child’s Play, but it worked. 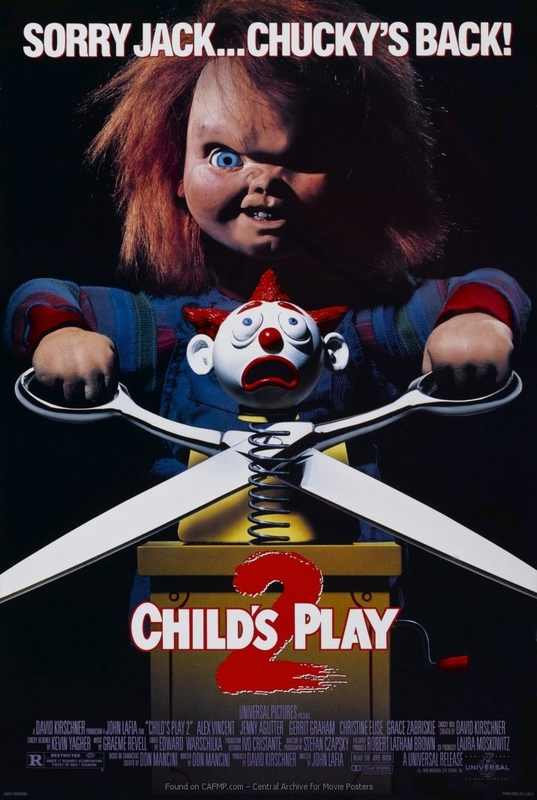 But Child’s Play 2 was a case of “less would have been more” and I thought it was a step down from the first one. Charles Lee Ray (Brad Dourif) is being chased by the police, particularly Detective Mike Norris (Chris Sarandon). He flees into a toystore where he’s shot. But Charles is versed in voodoo – and manages to transfer his soul into one of the Good Guy dolls on sale. Through some twists of fate, the doll ends up with Karen Barclay (Catherine Hicks) who got the doll for her son Andy (Alex Vincent). Just because he lives in a doll, though, Charles hasn’t left behind his murderous ways – and he needs an actual human body soon, before he turns into the doll he possesses. When it was announced that they would show the latest “Chucky” film at the /slash Filmfestival this year, I knew I had to get started on closing that particular gap in my horror movie knowledge. 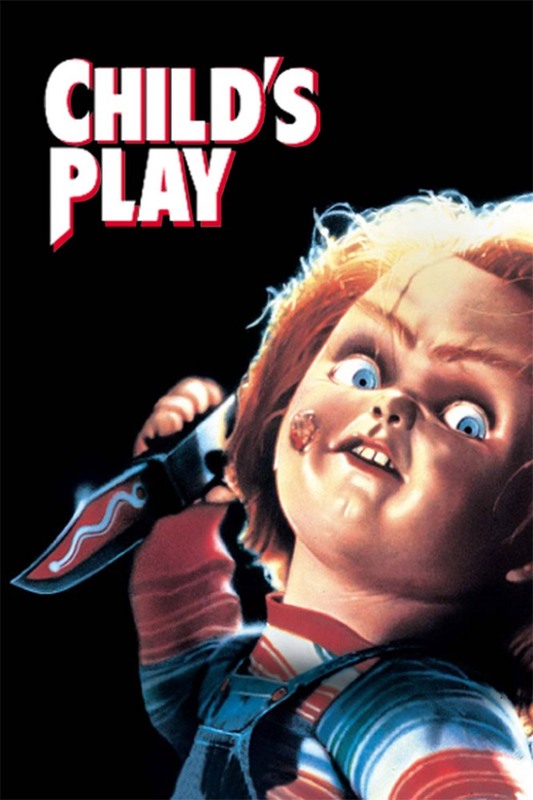 Child’s Play, then, wasn’t bad, though the reason for the cult status of the series didn’t become apparent to me.